3. It is presumed that Customer while placing an order read the text of the Regulations and accepted all its statements. 1. Shop www.bandi-cosmetics.eu conducts sale activities through Internet network. Customer´s orders are placed through Internet website www.bandi-cosmetics.eu. Orders can be placed 24 hours/day, 7 days/week, all year round. 5. For promotional sale and clearance sale there are designed only limited amounts of goods and accomlishment of orders is conducted by the order of coming orders for these goods, until stocks of these goods last. 7. Professional cosmetics (designed to conduct the treatments in beauty salons) can be purchased only by business customers who have status of Beauty Salon or Distributor (verification and activation of the account is processed after receiving all necessary data by BANDI office e-mail: export@bandi.pl tel. (+48 22) 753 08 25 fax (+48 22) 753 08 28). 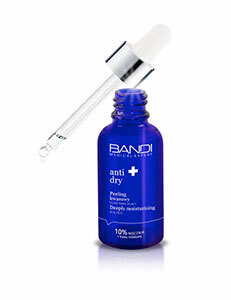 Shop www.bandi-cosmetics.eu reserves the right to change Customer´s status. Shop www.bandi-cosmetics.eu reserves the right to suspend the account of Beauty Salon or Distributor status, if it acknowledged that Customer who created this account breakes the agreement concluded with www.bandi-cosmetics.eu during the registration process. 8. Shop www.bandi-cosmetics.eu in any case reserves the right to verify the placed order and its annulment in cases justifying doubts about reliability of such order. 9. In case of Products shortages in BANDI warehouse or no of possibility to complete Customer´s order, Shop www.bandi-cosmetics.eu reserves the right to withdraw from the agreement with 30 days period of notice from the date of the agreement conclusion. If the payment for the goods has been made in advance, Shop www.bandi-cosmetics.eu will return the money to the Customer in period of 14 (fourteen) calendar days starting from the order cancellation date. In case ordered Products are not available in BANDI warehouse, Customer will immediately be informed about this circumstances by e-mail or phone. After receiving this information Customer will decide about accomplishment the order: cancel the part of the order, extend the time of the order accomlishment, cancel the whole order. In case Customer cancels the part of the order or cancels the whole order, it is assumed that Customer withdraw from the agreement in part of his/her order cancellation. If Customer cancelled the whole order, cancelattion means withdrawal from the whole agreement. 1. Changes in order can be done by Customer until order is accomplished (which means until order is directed to be sent). Customer can withdraw his/her order as a whole until order is sent. 2. Changes mentioned above are possible through the contact with Customer Service Department by e-mail shop@bandi.pl and phone (+48 22) 753 08 25. Changes in order executed over the phone, will be introduced only after the verification of the Customer as the owner of the account. 3. Changes in order executed by e-mail concerning the change in: Customer´s addres, delivery addres as well as recommendations to return the overpayment will be accepted to the execution only in case when disposition was sent from the e-mail addres registered on Customer´s account. 1. Shop www.bandi-cosmetics.eu announces information about BANDI offer on the website www.bandi-cosmetics.eu and sells goods through Internet network. 2. Prices of the products which are available in the offer of Shop www.bandi-cosmetics.eu are calculated in euro currency and include 23% VAT. Given prices don´t include the shipping costs. 3. Price offer for each product is binding at the moment of the placing order by the Customer. 4. Information about the total value of the order is displayed on the website www.bandi-cosmetics.eu after Customer give his/her delivery addres and method of the delivery of the order. 5. Shop reserves the right to withdraw the particular products from the offer without notice. 6. Shop www.bandi-cosmetics.eu reserves the right to change the prices of the products offered in Shop www.bandi-cosmetics.eu, introduce new products to Shop www.bandi-cosmetics.eu offer, start and cancel promotional actions on Shop´s websites and make changes in these actions. 7. Promotions in Shop www.bandi-cosmetics.eu are not subjected to be merged unless regulation of the particular promotion states otherwise. For example, if computer system while placing an order, by mistake, merges two or more promotions, such order will be cancelled. For these payment methods the execution of the order starts after Shop www.bandi-cosmetics.eu receives the confirmation of the accomplishment of the payment from the operator. 3. Customer can use a discount code received from Shop www.bandi-cosmetics.eu . Discount codes have an expiration date and they should be used by the Customer before this date. Discount code is not subjected to be merged with any other discount code and other promotions, unless regulation of the particular promotion states otherwise. 1. Order execution time is the time which includes the period from the acknowledgment of the order until its execution (sending the shipment from the Shop with the chosen by Customer method of the delivery), taking into consideration only working days. Expected order execution time is 1-2 working days. Shop www.bandi-cosmetics.eu reserves the right to extend order execution time. 2. Deliveries of the international shipments on addres given by the Customer in order form are accomlished by Polish Post services or courier company services. Above deadlines are given by Polish post and courier company. 4. Shop www.bandi-cosmetics.eu takes no responsibility for the fail or delay in delivery of order products or in order execution resulted from incorrect or inaccurate delivery addres given by the Customer. 5. Shop www.bandi-cosmetics.eu takes no responsibility for the extended delivery time due to the circumstances that do not depend on it. 1. www.bandi-cosmetics.eu charges the payment for the shipment of the products to the Customer. For the international shipments (EU and non EU countries) the delivery cost is charged based on the price offer of Polish Post services or courier company services. 2. Products are sent and delivered only at working days, from monday till friday. 4. Delivery cost mentioned in Art. 1 is included in total cost of the order. 1. All products available in Shop www.bandi-cosmetics.eu originate from the legalsource, are original and are qualitative guaranteed by the producer. 3. In case of possible complaints Customer should contact with www.bandi-cosmetics.eu by e-mail (shop@bandi.pl) or over the phone (+48 22) 753 08 25. While reporting a complaint Customer should give his/her name and last name, order number, number of the purchase confimation (VAT invoice), as well as describe the subject of the complaint. BANDI Cosmetics Ltd., ul. Warszawaska 7, 05-152 Czosnów, Poland. To the shipment with complaint goods Customer should send: his/her name and last name, order number, number of the purchase confimation (VAT invoice), number of the Customer´s bank account as well as the describtion of the subject of the complaint. Shop does not accept any shipments sent on its cost. After the positive acknowledgement of the complaint Shop returns the shipping cost in amount charged by courier company services (according to its price offer) for the distance from the Customer´s postal code to Shop´s postal code on the bank account given by the Customer. 5. Complaints are considered within at least 14 working days from the date of receipt of the shipment with defective or oncompatible goods by Shop www.bandi-cosmetics.eu . In case the positive acknowledgement of the complaint defective goods will be repaired or replaced with non defective ones and if that is not possible (for example due to the fact that product is out of stock), Shop www.bandi-cosmetics.eu will return to the Customer the equivalent of the price of goods or offer him/her other products currently available in Shop www.bandi-cosmetics.eu . The cost connected with the return shipment of the defective goods Shop will return immediately after the positive acknowledgement of the complaint. The return is conditioned by the receipt of the information with the bank account number by the Shop. 6. Customer is entitled to to report the complaint within 2 months from the date of the purchase on the condition that Customer will inform Shop about the defect within 2 months from the date of acknowledgement of the incompatibility of the received goods with the agreement. 7. Complaints about machenical failures occured during the transport will be acknowledged only after the preparation of the protocol signed by both the receipient and the shipping company. 2. According to Law of 2 March 2000 „About the protection of some of the customer´s rights and about the responsibility for the demage caused by the dangerous product" Customer is entitled to resign from the goods purchased in Shop www.bandi-cosmetics.eu without the cause within 10 days from the receiving of the shipment. In Shop www.bandi-cosmetics.eu Customer can resign from the purchase within 100 days from the date of the receiving the shipment without the cause. The resignation is possible only if the goods haven´t been used or haven´t been demaged in any way. Returned goods haves to be complete. Goods that were factory protected with plastic foil before the opening, can´t be returned without the foil or with removed factory securities. Cosmetics products can´t have the signs of usage. 3. Returned goods should be sent along with received for them invoice. 4. Money will be returned within 14 working days from the receiving of the return goods. The cost of the shipment of the return goods is not refundable. 5. All payments are executed by the pay of the nominal amount counted in euro currency. In case the payment for the order was made from the bank account conducted in currency different than euro, the return of the payment will be executed on given bank account in euro and than it will be counted to the currency of the Customer´s bank account basis on the average currency rate presented by Polish National Bank from the date of akcnowledgement of the Customer´s payment. 1. BANDI Cosmetics Sp. z o.o. fully respects the right to privacy, including the protection of Users Personal Data. The goal of BANDI Cosmetics Sp. z o.o. is to provide access to the largest possible amount of information and services obtained through the Website with the least possible interference in the sphere of privacy of customers. 3. By registering to our e-shop the customer agrees to the processing of personal data related to the execution of orders made through bandi.pl. 4. Providing data is voluntary, but necessary for the implementation of product sales services, and also if the customer agrees, marketing services. 5. If the Customer chooses the delivery method via courier or mail, Bandi Cosmetics Sp. z o.o. will pass on the Customers personal data to a courier company or a company providing postal services (depending on the delivery method chosen by the customer) solely for the purpose of executing the contract concluded with the Customer and only to the extent necessary to make delivery. 6. Except as indicated in paragraph 5 of this section, Bandi Cosmetics Sp. z o.o. does not disclose personal data of Customers to third parties. 1. All published materials (descrbtions and photos) of the products are the property of BANDI Cosmetics Ltd. or they are published with the approval of persons and/or subjects that posses the property copyrights to this materials. 2. Without the written permission, publishing or usage by the third persons of the materials published by BANDI Cosmetics Ltd. is forbidden. 1. In all cases not regulated in Regulations there are applied the rules of Polish law, especailly the Civil Code and the articles of Law about detailed conditions of the consumer sale and about the change in Civil Code (Dz. U. Nr 141 from 2002 r. poz. 1176) and Law about the protection of some of the costomer´s rights and about the responsibility for the demage caused by the dangerous product (Dz. U. Nr 22 z 2000 r. Poz. 271). 2. Goods presented on the websites of Internet Shop are not an offer by definition given by Civil Code. 3. Shop www.bandi-cosmetics.eu takes no responsibility for the blocking by administrators a mail servers used for the message sending on e-mail addres given by the Customer and for the cancellation and e-mail blocking done by the software installed on Customer´s computer.